When it comes to background screening, drug screening, and employment verification, those in the background screening industry must keep informed of the ever-changing rules, regulations, laws, and court decisions. What are the most impactful topics facing the industry for 2019? Of those, what will have the greatest impact on the practice of human resources related to background screening? Here are Hire Image’s 2019 Top 10 Predictions for what is sure to demand attention this year. On December 21, 2018, the First Step (“Formerly Incarcerated Reenter Society Transformed Safely Transitioning Every Person”) Act was signed into law and is reported to bring the most significant changes to the criminal justice system in decades. The First Step Act will reduce sentences and introduce opportunities for early release for people serving time in federal prisons, impacting over 180,000 people. It will encourage inmates to participate in job training and rehabilitation programs and allocate millions of dollars into those programs over the next five years. Inmates also have the ability to earn more credits for good behavior to shorten their prison time and transfer to halfway houses, home confinement, or other supervised release. Additionally, judges will have more discretion with mandatory sentencing guidelines for people with limited criminal backgrounds. This law impacts only the federal court system, but we expect criminal justice reformers to use this legislation to push for changes at the local level. According to the US Bureau of Justice Statistics, 87% of US inmates are in held in state facilities and many more are in local jails. There are more jurisdictions, both at the state and local levels, with Ban the Box laws and Salary History Bans than ever before. These laws severely restrict the information a prospective employer has access to in order to make hiring and promotion decisions. 2019 will see more of these laws go into effect, starting with both Connecticut and Hawaii adding Salary History Bans, effective as of January 1, 2019. The substantial increase in these types of laws, coupled with criminal justice reform that is just starting to scratch the surface, is leading employers down a path they do not want to go – having to make hiring, promotion, and other business decisions with only limited information. While the reasoning behind these laws is sound, unfortunately, there is not much in terms of protecting the employers who need to balance their decision-making process in face of these laws with the effective running of their businesses and protection of their customers and property. Marijuana remains a Schedule I substance under the Controlled Substance Act, which makes it illegal for any reason under federal law. However, more than half of the states have now legalized marijuana for either medical or, the more expansive, recreational use. Each state then has its own nuances to further complicate the matter. This inconsistency among states and, more specifically, between states and the federal government leaves many employers wondering what the changing laws mean for their existing drug screening policies. 2018 saw a Minnesota job applicant who filed a federal class action alleging violation of the Minnesota Human Rights Act because of a company’s refusal to hire marijuana users, including medical marijuana users. And in a federal case in Connecticut, the court ruled that under the Connecticut Palliative Use of Medical Marijuana Act, employees who use the drug after work hours and are not impaired cannot be discriminated against despite the company’s federal contractor status. Delaware also recently ruled that its medical marijuana law did not conflict with the federal Controlled Substances Act and provides its own implied right of action. Cases will be on the rise in 2019 and beyond until some clarity on this issue is found. Employers will increasingly need to review their job descriptions and perform a safety analysis to determine if accommodations are necessary, based on the applicable laws in their states. Employers and prospective employees are using social media more and more when recruiting or looking for employment, respectively. According to a 2018 survey, 70% of employers are now using social media. This represents a significant increase from the 22% who did so 10 years ago. That increase in percentage, along with the increasing amount of Generation Z entering the workforce demonstrates that the use of social media in the hiring process will continue to increase. The employer may come across protected classes of information and then use that information to make a hiring decision, whether intentionally or unintentionally. Even the appearance of a decision not to hire someone based on a negative impression related to race, gender, religion, disability, or other protected classes could subject them to a discrimination lawsuit. There is a greater chance of coming across false positives or negatives. People use different names on their social media accounts and at least some information posted is usually incorrect. Employers run the risk of misidentifying someone or missing someone all together because of these inaccuracies. The employer needs to be careful not to violate the applicant’s right to privacy. It should be noted that this does not apply if the applicant’s social media settings are set to public. That information is open for anyone, including potential future employers, to review. However, if their profile is set to private, the employer cannot try to bypass those settings without risking exposure to potential liability down the road. The employer needs to evaluate how he or she will use information found on legal issues, including gun control, alcohol use, or legalized drugs. Employers will need to have policies in place to address these areas, and the risks, if any, that apply to their companies. These concerns should be considered carefully in order to decide if this type of investigation is worth the effort and risk. Companies are encouraged to discuss these searches with their legal counsel and consider outsourcing this process to stay away from potential discrimination claims. Poison control centers and hospital emergency rooms have reported increasing instances of abuse and overdose of synthetic (also called designer) drugs, which are not approved by the FDA. Synthetic drugs have constantly changing compounds, so that testing becomes increasingly difficult. As such, it is imperative to stay one step ahead in new drug-test development. Drug screening panels will need to be added or changed in order to keep up with the increased use of various drugs. Both the Department of Health and Human Services (HHS) Mandatory Guidelines and the Department of Transportation’s rules reflect this trend by clarifying existing drug testing program provisions and adding certain semi-synthetic opioids including hydrocodone, oxycodone, hydromorphone, and oxymorphone, commonly referred to as OxyContin®, Percodan®, Percocet®, Vicodin®, Lortab®, Norco®, Dilaudid®, and Exalgo® to the drug testing panel in response to the increasing concern over opioid abuse in this country. As always, with an increase in online information, comes an increase in concern over the security of that information. Securely maintaining and disposing of records that contain sensitive information will continue to be a top priority for every business owner, especially in light of 2018’s GDPR passage. The GDPR was the first legislation of its kind, tackling threats to data security and specifically addressing a company’s accountability to their customers. These important changes required action by companies and institutions around the world. Organizations will continue to work on compliance in this area, as much of the impact of the regulation will likely be determined with cases that are sure to arise and through the reasoning of the courts in resolving such issues. The Federal Trade Commission (FTC) is charged with the regulation and oversight of business privacy laws and policies in the U.S. that impact consumers, including the Fair Credit Reporting Act, which governs background checks and provides guidance on best practices businesses should follow to keep data secure. In addition to following the FTC’s guidance on the proper data security practices, businesses that utilize a consumer reporting agency for their background screening services should be sure to partner with one that has achieved accreditation with the National Association of Background Screeners (NAPBS) Background Screening Credentialing Council (BSCC). The Background Screening Agency Accreditation Program (BSAAP) standard, policies and procedures, and measurements are available at http://www.napbs.com. The Clean Slate Act of 2018 was introduced in August with the goal of helping individuals charged with certain crimes rehabilitate by clearing their criminal history. If passed, federal criminal records for marijuana and minor drug-related offenses would automatically be sealed, rather than having to go through the current process for sealing records. As such, on a much larger scale, employers and landlords would not see these records when running background screenings and would have no indication if there are criminal-related red flags. Some states have already implemented similar legislation. For example, Pennsylvania has expanded the process for sealing state criminal records to include more offenses and has automated the sealing of records, including many convictions over 10 years old, as well as arrests that do not result in conviction within 60 days. Michigan, Colorado, and South Carolina are also expected to introduce similar legislation. Thus, it appears that this movement is now occurring simultaneously at both the federal and state levels. The legislation thus far relates to older charges or minor drug possession charges. Employers will want to keep an eye to legislation that may further restrict access to criminal record information that may impact the safety of workplaces, properties, customers, employees, and tenants. Recently, the United States District Court for the Southern District of California granted final approval of a $1.2 million class action settlement against Petco Animal Supplies, Inc. Feist v. Petco Animal Supplies, Inc. demonstrates that the trend of class action lawsuits brought against employers for alleged violations under the FCRA is not slowing down. The lawsuit challenged the company’s form of disclosure for employment background checks, alleging that Petco violated the FCRA by: (1) obtaining consumer reports for employment purposes without the required stand-alone disclosure and (2) not obtaining the required authorization. The FCRA is intended to protect consumers from either willful or negligent inclusion of inaccurate information in their background check reports. It also regulates the collection, dissemination, and use of consumer information. While it is intended to protect the accuracy and privacy of information used in employment decisions, it is not intended to stop employers from using background screenings. Rather, it mandates that employers follow specific rules with regard to that information and authorizations obtained from the consumer. This is not the first large FCRA-related settlement we have seen and it is certainly not going to be the last. 2017 saw cases involving Avis paying a $2.7 million settlement in a class action lawsuit and Postmates paying a $2.5 million settlement, among others. This year brought class action lawsuits against McDonalds (pending), a PepsiCo Subsidiary ($1.2 million settlement), and now Petco. Employers should not let down their guard in 2019 when it comes to FCRA-related lawsuits, as plaintiffs’ attorneys will continue to creatively bring suits to show the “concrete injury” requirement established in Spokeo, Inc. v. Robins, Inc. in 2016. Although most class action lawsuits that wind up in the news involve large, recognizable companies, employers of any size are at risk and should frequently review their forms and processes to ensure that they are in compliance with the FCRA. Employers should also review the laws in the states and cities in which they do business to ensure compliance with local laws. Justifiably, employers will always want to know who is working for them. Not just at hiring, but throughout their employment relationship. A current employee can engage in illegal behavior as much now as he or she could have before they were an employee. On-demand employers, such as Uber and Lyft, have always used continuous background screening. However, for the most part, it has largely stayed in that sector, other than the healthcare and financial services industries. Now, other industries are starting to see the benefits, especially in light of the “Me Too” Movement of 2018. The “Me Too” Movement demanded attention from employers in 2018. Employers want to know, among other issues, are they employing people who have a tendency to harass? Beyond harassment, there must be a certain level of trust. Employees also represent a company’s brand and have access to financial and other confidential information. Not having trustworthy employees can lead to loss of productivity, workplace safety, and theft. With the consideration of continuous background screening, comes the concern over privacy. Balancing these concerns with the pressure to protect other employees, customers, and property is going to be a key priority for employers in 2019 as they determine if background screening will stay at the pre-employment stage or continue beyond. There is no doubt that businesses have the ability to become international enterprises easier and faster than ever before. This provides for more opportunities, and with more opportunities, comes more risks. One of those risks is with regard to background screening employees in, or from, another country since more companies are recognizing the fact that employees no longer have to be physically present in and can work from anywhere. Companies are well-aware of the various federal, state, and local laws with which to comply for their background screening needs – the EEOC, FTC, and FCRA, to name just a few. However, dealing with similar laws from other countries is a “foreign concept.” Additionally, not only are there privacy laws to deal with, but cultural nuances that also play a large part in the process. Companies in 2019 will start to consider these issues and implement strategies and global screening policies to deal with them effectively. Whether or not they have an office in another country is irrelevant because some of their US-based employees may have international backgrounds that need to be checked. Companies should implement comprehensive screening plans that are flexible enough to take into account varying laws, requirements, and cultural differences. With a plan in place, they can mitigate risks and take advantage of the benefits of increased diversity, including differing skills, creativity, and ideas in the workplace. 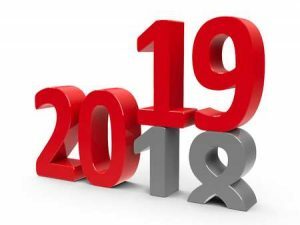 It is clear from all that is happening in our industry that the year 2019 will be a busy one in the background screening, human resources, and employment law fields. Hire Image will continue to monitor legal and regulatory developments in federal, state, and local jurisdictions as it relates to background and drug screening and share those changes that impact employers.